Discussion in 'User Projects' started by Fsig, Feb 15, 2016. This is a web interface for POS Miners, it allows you to keep track of your activities without connecting to a remote machine or running the commands manually. woot, karamble, brencelj and 6 others like this. 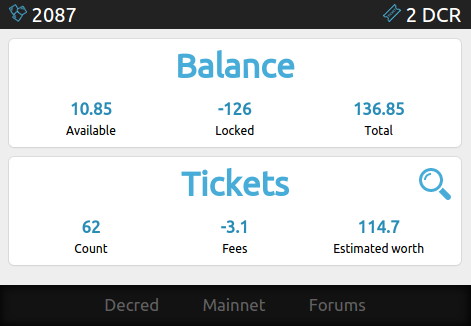 I have created a basic web interface for POS Miners. In it's current state the web interface is for viewing purposes only; as it's open source you may change it to do whatever you like. I may have to set this up on my RPi2 PoS. That all looks above board I guess if you were being super-paranoid you could set up a publickey only wallet specially for this sort of thing, that should work, right? I would assume so. Personally I have separate wallets for main, POW and POS. I would recommend locking down port 80 to your IP address only though and also securing the includes folder. Edit: Updated github with a .htaccess file to secure the includes folder, also added instructions on configuring Apache to allow .htaccess files. Updated with more information and slight GUI changes. Updated to work with new version.